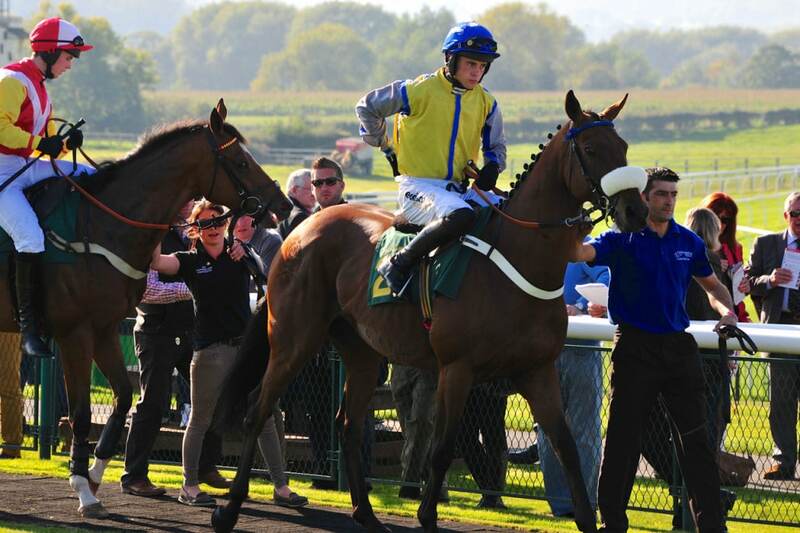 Eddison Media is pleased to announce the sponsorship of National Hunt Jockey James Cowley. 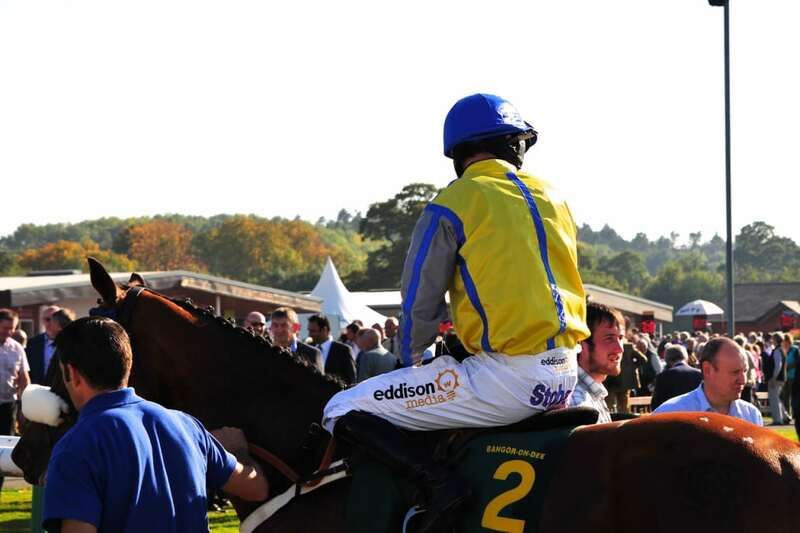 The Jockey will be wearing Eddison-Media branded breeches during the current National Hunt season. James is a Conditional jockey which is the National Hunt (over jumps) equivalent to the apprentice jockey on the flat. 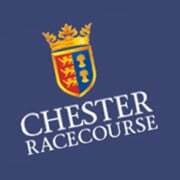 Conditional jockeys can claim a weight allowance until the point where he or she has won 75 races or reaches the age of 26. This knocks off a few pounds from the horses allotted weight in any handicap race. The weight allowance system allows for less experienced jockeys to compete for rides with the seasoned professionals. James is learning his trade with Grand National winning trainer Donald McCain at Bankhouse in Cheshire. 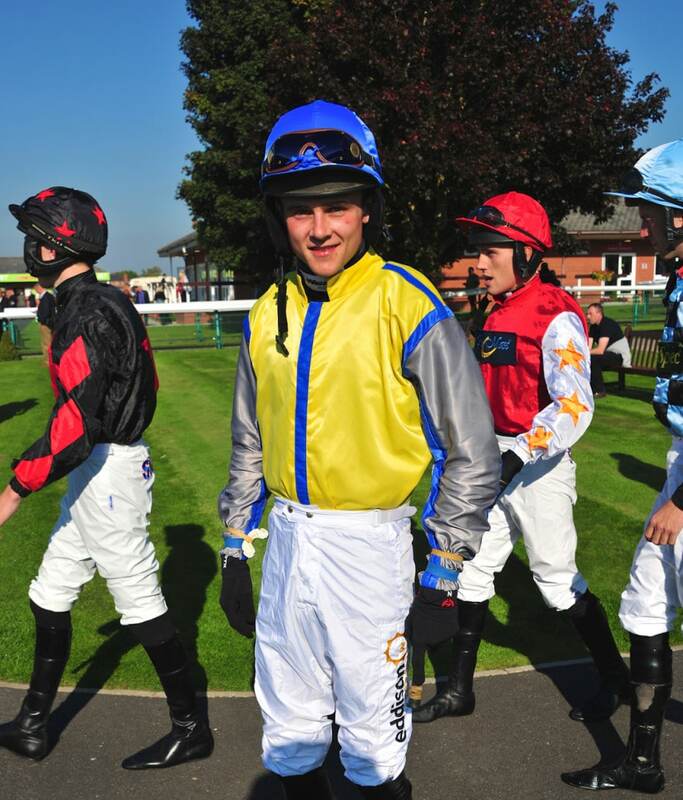 He is already well on his way to ‘losing his claim’ and turning professional, we hope our sponsorship will help this young jockey achieve his ambition. 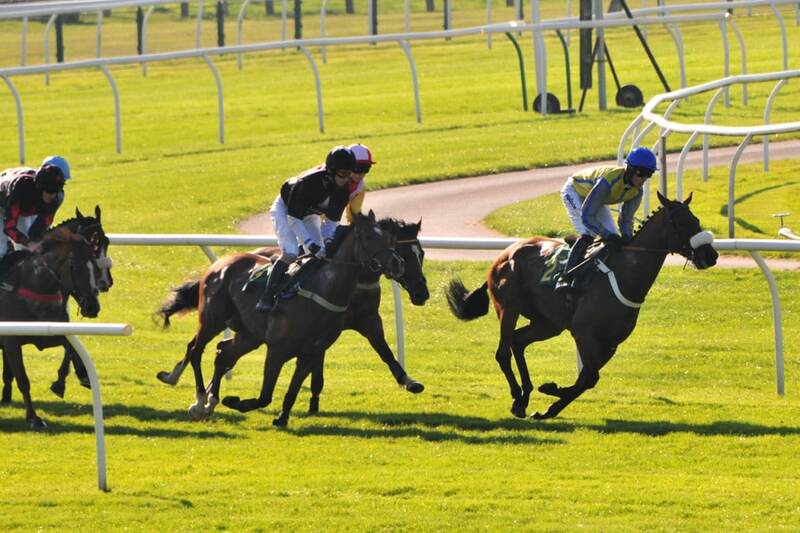 We recently caught up with James at Bangor-On-Dee racecourse where he was riding in the Deva Racing Handicap Hurdle. Below you can view a gallery of the photos we took on the day. If you’re interested in checking out the benefits of jockey sponsorship then you can read the PJA guide here. 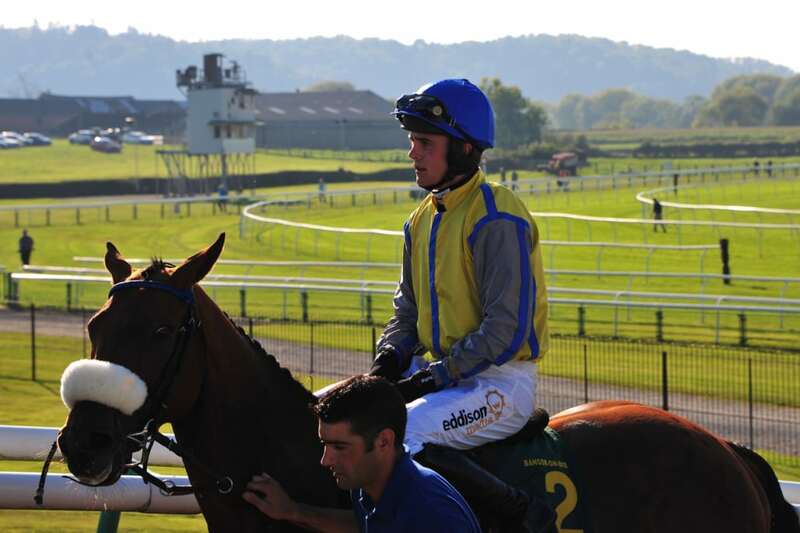 It’s worth noting that the average jockey covers over 40,000 miles traveling between racecourses in the UK and your branding can be displayed on their vehicles and clothing traveling to and from meetings. On course a jockey can display branding on one of three pre-approved areas of clothing: Breeches, Neck Roll and Coccyx. 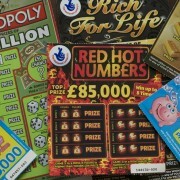 If your jockey wins a big race then you can be assured that your brand will gain additional exposure on television and in the press.